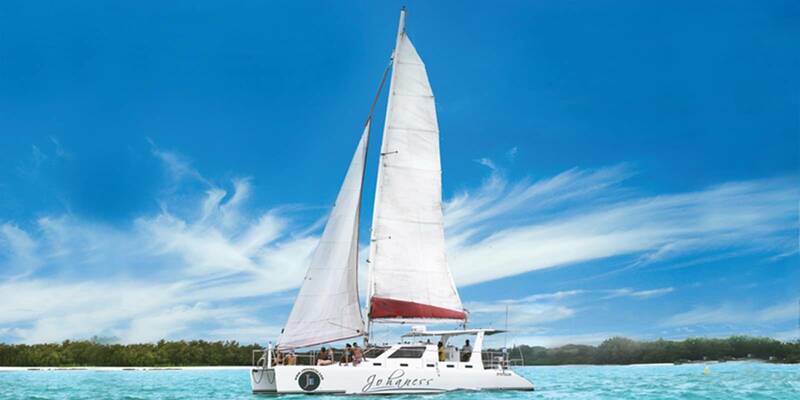 Treat yourself to a memorable day sailing across the pristine and turquoise lagoon of the East coast of Mauritius by booking an exclusive catamaran cruise for a full day of relaxation and fun with your family and friends. The catamaran will depart from the fisherman’s village of Trou d’Eau Douce and will sail through the breathtaking scenery of the mountain chains surrounding this region towards the Grand River South East Waterfall, surrounded by lush nature and impressive ravines. 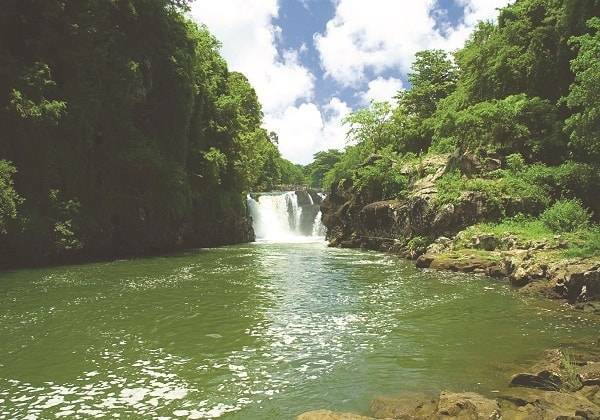 Witness a 30 km river which flows along the Bambou mountains to meet the magnificent waterfall in the bay of Anse Cunat where you will be able to swim. 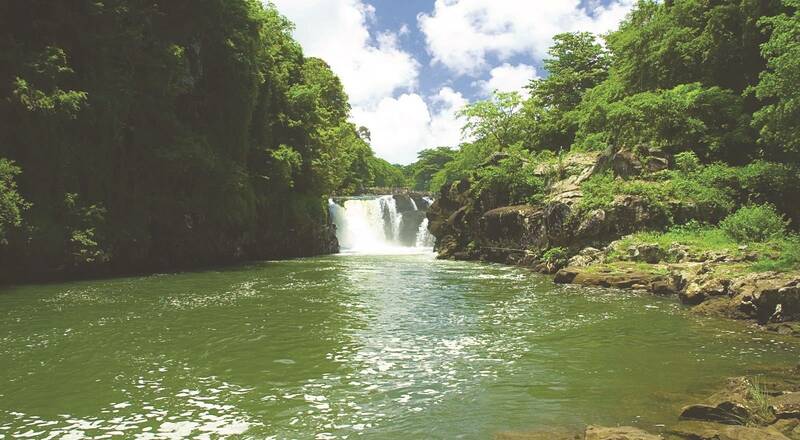 This place offers a pure moment of relaxation and breathtaking views within Mother Nature. 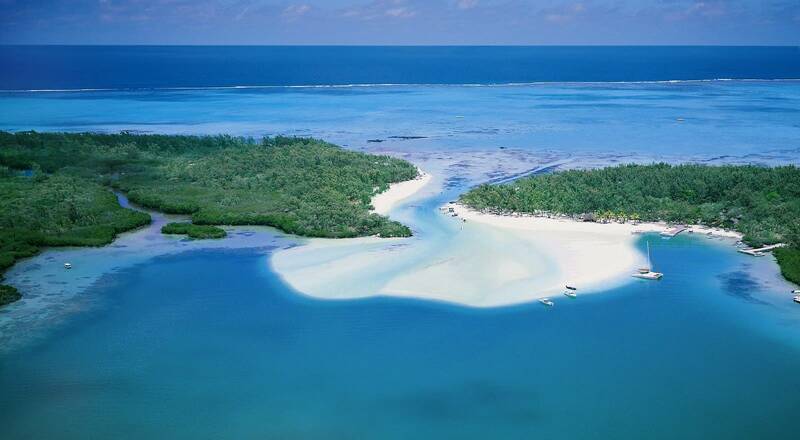 You will then set sail to the picturesque island of Ile aux Cerfs, an islet renowned for its long sandy beach and its picture-perfect turquoise lagoon. Afterwards, you will be taken to a beautiful spot where you may snorkel or simply relax on board and sunbathe on the comfortable deck of the catamaran. A delicious BBQ lunch and drinks will be served during the cruise. On the menu, you will find a selection of fresh juices, vegetable/rice or pasta salads, grilled garlic bread, BBQ chicken, sausages & fish followed by grilled bananas as dessert. Drinks offered include wine, beer, soft drinks, juice, water, coffee & local rum. Private and exclusive catamaran cruise to Ile Aux Cerf and Grand River Waterfall. Enjoy white sandy beaches, lush nature and a delicious BBQ lunch in private atmosphere. Catamaran is on exclusivity and private. Exclusivity on the catamaran, drinks, BBQ lunch and snorkeling equipment. Flexible start time, latest departure 10.30am. Approx 7 hour trip. Sunscreen, swim wear and towel.